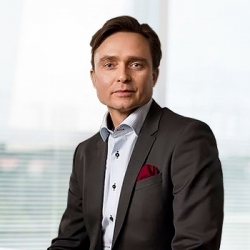 SkySparc, an independent solutions provider, has appointed a new chief executive officer, ex-TradeTech Consulting/Virtusa* CEO Joakim Wiener, who will take responsibility for driving growth and customer service excellence. Stockholm, Sweden, September 11, 2018 --(PR.com)-- Wiener has a 20-year track record in delivering outsourced support and consulting services to users of leading trading, treasury and asset management systems in the Nordic region, including banks, central banks, corporate treasuries and financial institutions. As CEO of Trade Tech Consulting for eight years, Wiener built the firm’s business growth on outsourced support service innovation and high service quality. “I have recognized SkySparc’s excellence over many years and I’m delighted to be joining forces with such a widely respected firm. I look forward to working with this talented, professional and passionate team to find new ways of meeting the support and consulting needs of a highly demanding client base,” said Wiener. “We expect to see a smooth transition as Joakim has identical experience and background to that of SkySparc. He knows our clients, our services and the operating environment extremely well,” said SkySparc co-owner Mattias Sandström. “We have long-admired Joakim’s approach to delivering support services. I am certain clients will quickly benefit from his experience as he takes our services to a new level of quality. As part of the board of directors, Mattias and I look forward to working closely with Joakim to support SkySparc’s future growth,” said SkySparc co-owner Thomas Bergqvist.